Lyle Waggoner was born on the 13th April of 1935, in Kansas City, Kansas USA, and is an actor and former model. As an actor, he shot to fame starring in the television series “The Carol Burnett Show” (1967-1974), and became known internationally for his role as Steve Trevor in the series “Wonder Woman” (1975-1979). Waggoner was active in the entertainment industry from 1966 to 2005. 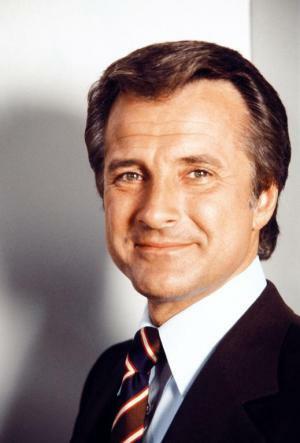 How much is the net worth of Lyle Waggoner? It has been estimated by authoritative sources that the wealth of the actor is as much as $10 million, as of the data presented in late 2016. Acting and modelling are the main sources of Waggoner’s fortune. To begin with, Waggoner was raised in the family of Marie and Mayron Waggoner, and spent his childhood in the town of Excelsior Springs, Missouri. After high school he attended Washington University in St. Louis for several months, before enlisting in the US Army and serving for two years mostly in (then) West Germany as a radio operator. When he returned home, Waggoner studied mechanical engineering at General Motors Institute of Technology, while selling encyclopedias door to door to pay for studies. Concerning his professional career, he made his debut in the musical “L’il Abner” in Kansas City, after which managed to earn enough money for a trip to Los Angeles to pursue his career. In the middle of the 1960s, Waggoner appeared regularly on television; iIn 1967, he appeared in the film “Catalina Caper” starring Tommy Kirk and obtained a minor role in the third season of the series “Lost in Space”. In 1967, he became known to the American public for his participation in “The Carol Burnett Show”, a comedy variety show in which he played in various sketches as well as working as the presenter. Waggoner left the show in 1974, although he returned a few years later as occasional guest. His definitive consecration took place the following year when Waggoner got the role of Steve Trevor in the first season of the television series “Wonder Woman” starring Lynda Carter. He also made appearances in other television series, including “Charlie’s Angels”, “Happy Days”, “Mork & Mindy”, “The Golden Girls” and “The War at Home”. Waggoner also played several roles in the series “The Love Boat”, “Fantasy Island” and “Murder, She Wrote”, all of which added to his net worth. In 1979 he founded the Star Waggons, a company that rented-out custom trucks used by the entertainment industry. In 1990, Waggoner co-produced and presented a show called “Consumer America” together and Shawn Bruner, which presented new products to help with housework, and which lasted for two seasons. Waggoner retired from acting to closely follow the company he founded, but he has had made a few television appearances since then. Finally, in the personal life of Lyle Waggoner, he is married to the actress, financial consultant and real estate agent Sharon Kennedy, with whom he has two sons. Now he lives near Jackson, Wyoming, where he devotes himself to sculpture – his works are usually funny interpretations of beautiful women. 1 Son, Jason Waggoner, won "Today Throws a Wedding" on Today (1952) on September, 2006. 3 Was considered for the role of Batman/Bruce Wayne on the 1960s TV series Batman (1966), but he lost the role to Adam West. 4 In 1974, he left The Carol Burnett Show (1967) under mutual agreement with the producer. 5 In 1976 the Encino, California Chamber of Commerce appointed Waggoner "Mayor" of Encino. This is an honorary "goodwill ambassador" position. In addition to Waggoner, it has been held by celebrities including Steve Allen, Mike Connors, Fred Travalena, Ronnie Schell and Cesare Danova. 6 Lyle is the owner of STAR WAGGONS INC., the largest supplier of studio location rental trailers in the entertainment industry. 8 Has two sons, Jason and Beau. 9 Was the first Playgirl centerfold in June, 1973.